Johnston’s “firsts” make him an incredibly important figure in Dal and Nova Scotia’s history. 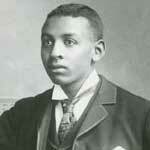 He was the first African Nova Scotian to earn a Dalhousie degree (Bachelor of Letters, 1896) — in fact, the first African Nova Scotian to graduate from any university — and the first Black lawyer to practise in Nova Scotia. To reach those unprecedented heights, however, he had to overcome racially-charged obstacles at almost every step: as a young boy in a segregated and underfunded Black school system; as a Dal law student, resisting thinly-veiled barbs like the last line written in his class biography (“Long may he live to be the chosen pleader for his race in the police court of the city”); and as a prominent member of Halifax society, with its tokenism as the occasional currency of participation. Johnston had every right to react to such events with rage and anger. But he channeled his energies into his work, in which he operated with a true spirit of inclusion. As a lawyer, he represented Blacks and whites, rich and poor, criminal and civil cases alike, in Halifax and across the province. Drug addicts, criminals, quartermasters and corporations all were given fair representation by Johnston. This isn’t to say Johnston didn’t publicly renounce the racism he encountered: he did, and his social and community activism helped affect change and foster a greater sense of Black pride in Halifax and beyond. He was president of the Aetna Club, a Black musical organization; the secretary of both the African Baptist Association and the Independent Order of Oddfellows; a referee in the Colored Hockey League; and a member of the provincial Conservative Party, which was instrumental in appealing Nova Scotia’s segregated school laws. He advocated for the establishment of an industrial school for Black youth, and although the idea wasn’t realized, it did lead to the creation of the Nova Scotian Home for Colored Children. Unfortunately, we’ll never know what else Johnston was capable of. He was killed nine days before his 39th birthday, shot to death in his Halifax home by his brother-in-law. The motive is still a mystery. His tragic end did not end his legacy, however. In 1991, nearly a century after Johnston studied at Dalhousie, the university established the James R. Johnston Chair in Black Canadian Studies, Canada’s only Black Studies chair. The chair honours Johnston and his accomplishments by building bridges between academia and the wider African descended communities. Through scholarship, research and community engagement, the Chair keeps Johnston’s inspiring ambition alive in the 21st century.